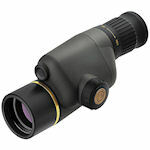 Golden Ring spotting scopes are Leupold's flagship, ultra-compact scope line. Golden Ring scopes come in a variety of models including the ultra compact 10-20x40, compact 15-30x50, 12-40x60 20-60x80 versions. Some are available with HD glass versions. 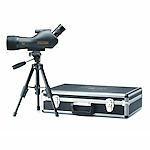 Several kit versions with carrying case and tripod are available. Leupold Mark 4 tactical spotting scopes are high-end scopes with excellent optics and an added reticle for military use. Mark 4 scopes come in several configurations, either with 12-40x zoom and 60-mm objective lenses or 20-60x zoom and 80-mm objectives. All Mark 4 Tactical scopes are waterproof; some feature durable, armored magnesium frames. 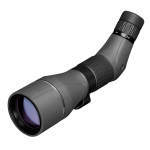 Leupold SX-1 Ventana spotting scopes are 60- and 80mm objective size scopes in durable lightweight frames. SX-1 Ventana scopes come in straight or angled models, and 15-45x60 or 20-60x80 configurations. 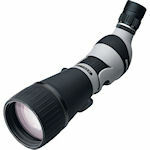 Leupold SX-2 Kenai spotting scopes feature HD glass and include two eyepieces: a 30x and 25-60 zoom. SX-2 Kenai scopes all have 80mm objective lenses, are available in straight or angled configurations, and are offered by themselves or in kits including both soft and hard cases and a tripod. 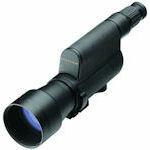 Leupold SX-5 Santium HD Spotting Scopes come in 27-55x80 in both angled and straight versions. They are built using Leupold's Twilight Max HD Light Management System for low light performance.